40 guests seated. Up to 49 standing room only. 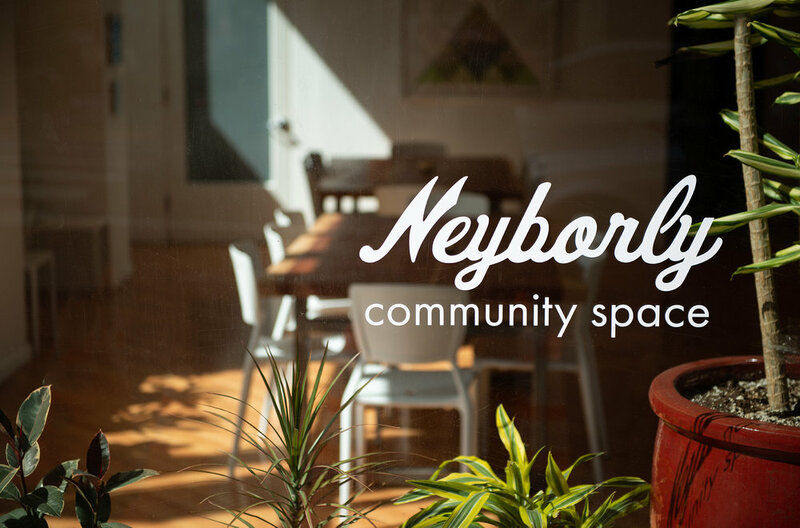 Neyborly - Union Square was dreamt up by the Neyborly design team artists to be a beautiful, flexible, high-end event space for the Bay Area. We took everything we learned from our success at our first two locations to create this truly unforgettable event space. 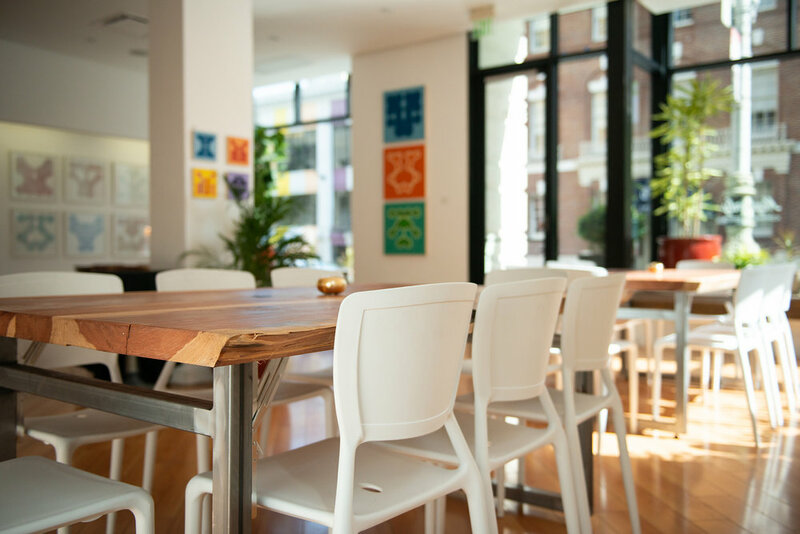 This brand new location, nestled conveniently in between the historic Union Square and Nob Hill neighborhoods, is 1,700 square feet featuring beautiful floor-to-ceiling windows, gorgeous wood floors, gallery lighting, and open floor plan. The space has been recently renovated by hand (including our hands) and we pulled out all the stops on this project. Car - Post & Mason Garage, Impark on Bush St., California Parking on Sutter St. Tables 4 handcrafted wooden tables made especially for our space. Tables can be removed from the room for an open floor plan. Chairs 32 designer wooden chairs and 8 black folding chairs. Chairs can be removed from the room. Extra furniture Neyborly - Union Square has additional cocktail tables and dinner tables. Whiteboard 2’ x 3’ whiteboard available with stand. Please bring your own markers! Kitchenette The venue comes with access to a sink, microwave, and mini fridge. Projector and Screen A high-quality ceiling mounted projector and retractable screen are available. Hardwire HDMI connector, as well as bluetooth capabilities. Restrooms One single-use restroom, refreshed by our staff. Interested? Send us a booking request.